Home / chile / Mother Daniela Zamudija "accepted" young trans: "From now on we are a family"
Mother Daniela Zamudija "accepted" young trans: "From now on we are a family"
A few days will mark the seventh anniversary of the death Daniel Zamudio, his mom Jacqueline Vera has revealed she has "adopted" a 21-year-old transsexual. 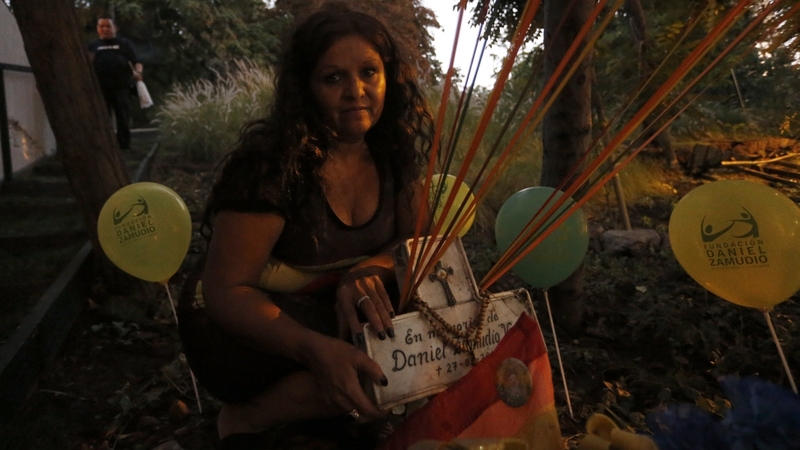 Faith, which in recent years left the activism and foundation Zamudio, which she founded with her ex-husband, Ivan, whom she currently lives with, although she is separated, Amber González was received two weeks ago at his home, which her mother expelled from her home after the beginning of the transition to gender. "I live with her like I did with Daniel. I see his face and reminds me of my son when I tried to explain to him why everything happened. Amber is my daughter, I accepted her as a daughter"explained Zamumi's mother in an interview with Third. A young woman from La Ligue has asked the Help Foundation to come to the capital to study the careers of nursing careers at Andrés Bello University, after which La Divide Diversity Division Launched a Campaign to Get Shelter, who had homes that he accepted only if he dressed as a man and used his legal name (Simon), and was in the house with people who were treated with drugs and alcohol. In this situation, Daniel's father and president of the Zamudio Foundation, Ivan asked Jacqueline if Amber could have lived with them in her home in San Bernardo, which she did not hesitate to answer affirmatively. "When she suffers because her mother threw her out because she does not help her when she asks why her mother left her, I tell her:" You will not miss anything with me, because I am your mom now. From now on we are a family, "Vera said to the morning newspaper. And he stressed: "I do not want another Daniel Zamudio, so I am interested in helping young people with psychological support to support them. " Amber: "Zamudio Vera is my new family"
While Amber He said this "Zamudio Vera is my new family. Jacqueline is like a mother I never had. 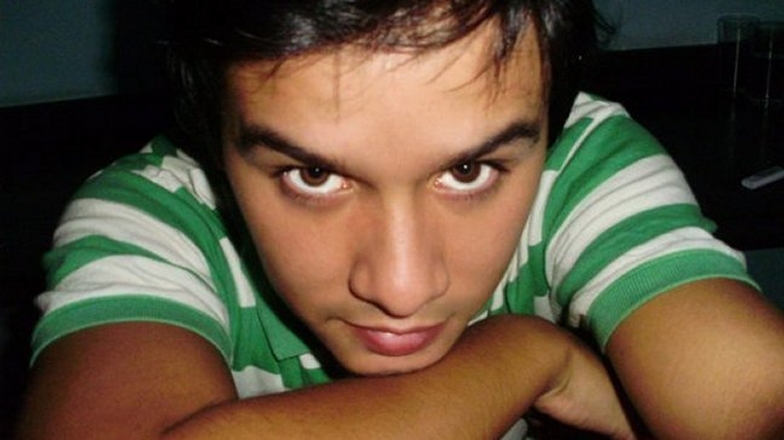 I worry a lot, I feel loved"
Daniel Zamudio died on March 27, 2012, 25 days after brutal aggression. "There is a very beautiful story that connects us: when I arrived in Santiago, a few weeks ago, I went to Daniel's velatone, but I came when there was no one." I myself went to his monument in the park where they were attacked, and I spoke with him, I told him my life, I asked him for help, without thinking that I would eventually live in his house and His mother became mine. Today I feel that it leads me that I'm not alone"said the young trans." Movilh and Iguales "every time they can expose Daniel"
In addition, the mother of Zamudija revealed that her institution was moving away from groups Movilh and Equals, about which he had difficult questions. "They create resources for themselves, for their foundations. Every time they can reveal Daniel, the truth is that nobody cares about us todayhe said. Vera said that as a foundation we are "self-governing and working with a lot of volunteering, I would like to talk again, now that I have no panic attack, I can travel, do other things, and above all I want to help the transgender community. They're very powerless"
As for the case of Amber, a spokeswoman for the Zamudio Foundation, Eric Salinas, accused of being at that time "." Movilh He promised to help her, but not"